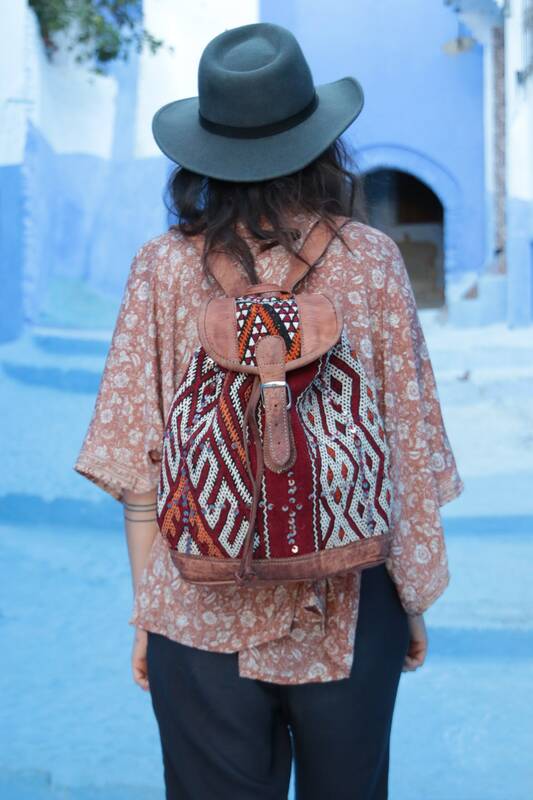 While wandering the magical medinas and souks of morocco, we found beautiful vintage shops with incredible hand woven carpet bags waiting for us inside! 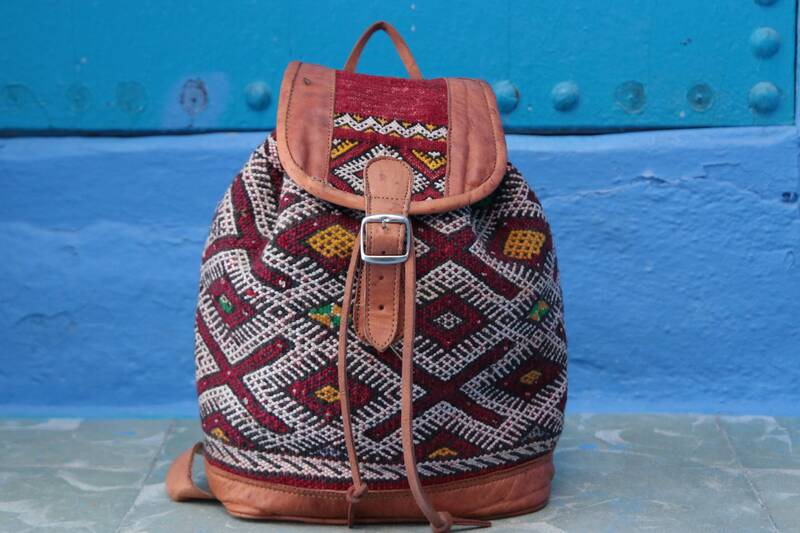 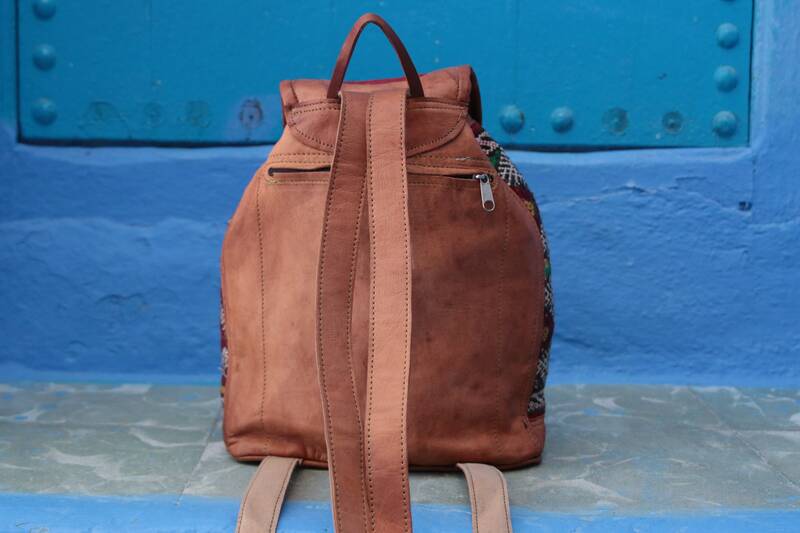 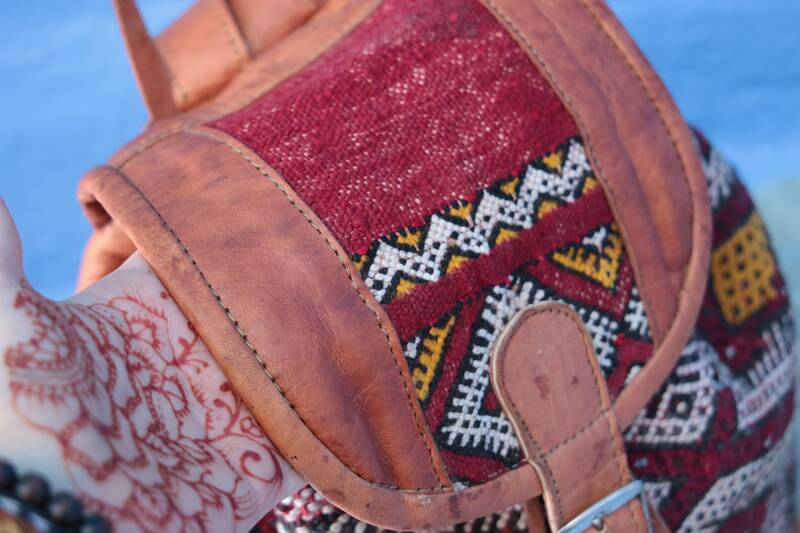 The use of vintage rugs and recycled leathers mean the bags are totally unique, with NO TWO DESIGNS THE SAME! 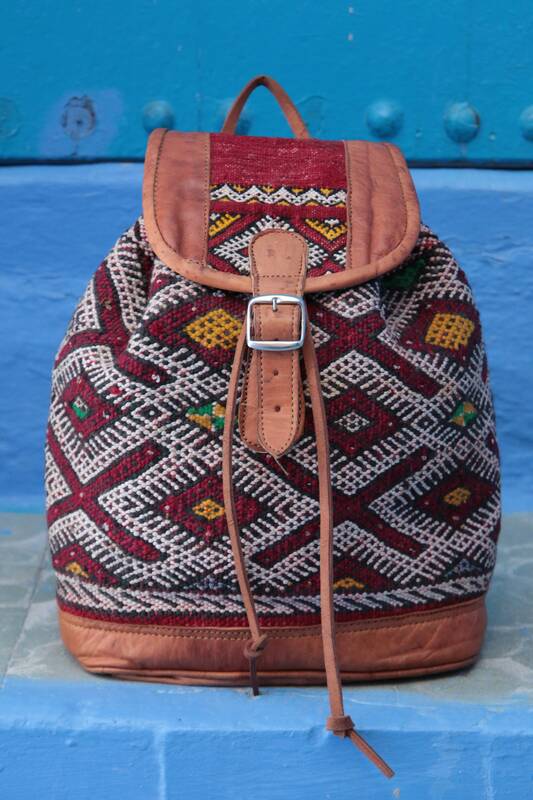 Because of the unique and handmade nature of the bags, we only have one of each bag available, which means when you purchase you really do are buying something totally unique, charming and with a magical history and story to it! 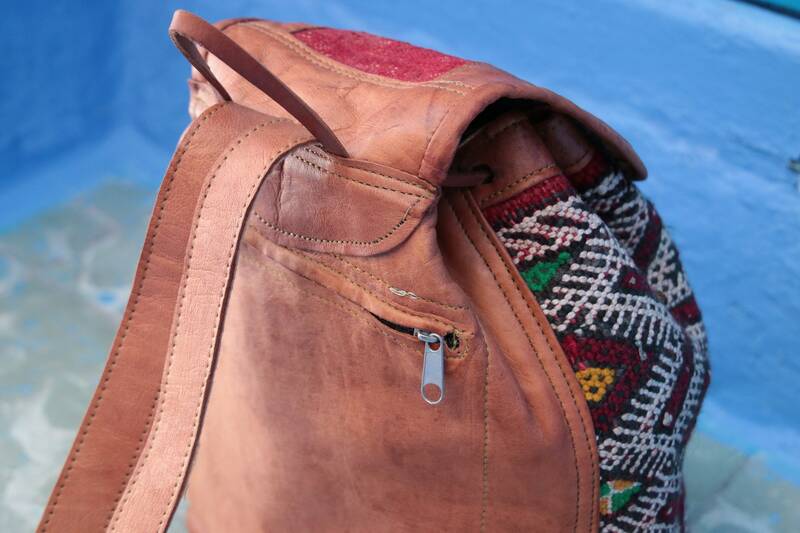 Pockets: 1x main compartment - lined, 1x back pocket with zip. 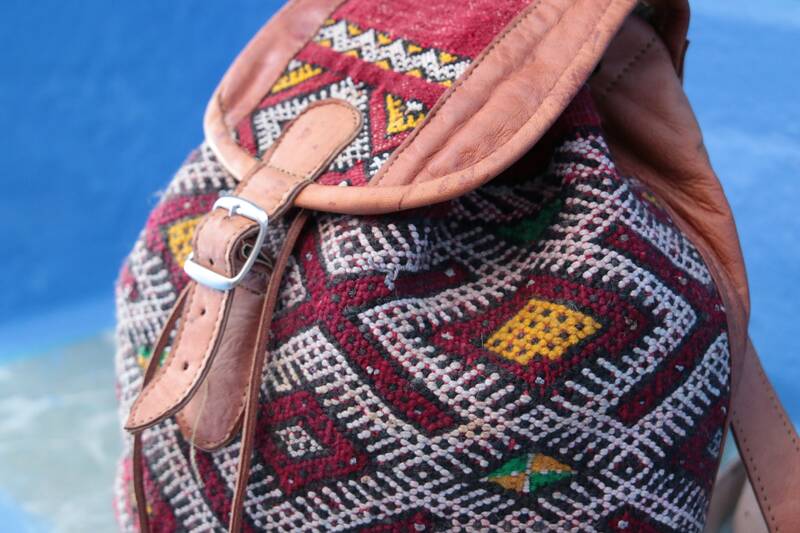 *Please be aware that our bags are Vintage and have been pre owned. 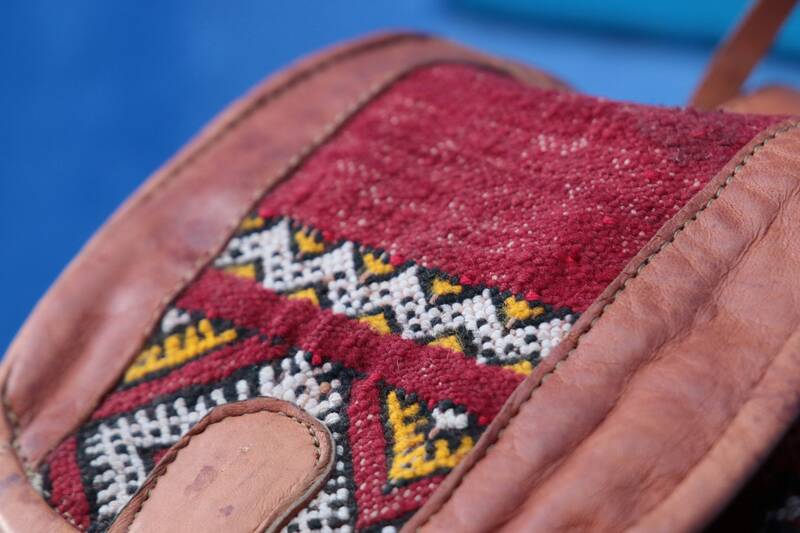 They are handmade using recycled and vintage leathers, some may show wear, stains or marks, these are not defects but part of their rustic charm and journey to you!